This study has 7 sessions, incorporating an introductory session and 6 lessons. The Study Set includes the Study Guide by Clifford M. Yeary and a commentary, Exploring the Spirituality of the Gospels, by Patrick J. Hartin (Liturgical Press). Patrick J. Hartin was born and raised in Johannesburg, South Africa. He studied at the Gregorian University in Rome and is an ordained priest of the Diocese of Spokane, Washington. He presently teaches courses in the New Testament and in Classical Civilizations at Gonzaga University. He is the author of numerous books, including: James, First Peter, Jude, Second Peter (New Collegeville Bible Commentary series), which is the companion commentary to Little Rock Scripture Study's James, Peter and Jude, a study in 7 sessions. He is also author of James (Sacra Pagina series), and Apollos (Paul's Social Network series), all published by Liturgical Press. In Spirituality of the Gospels, the modern quest for spiritual fulfillment is met with profound insights from the gospels. All four gospels call readers to become faithful followers of Christ, but each gospel has a special focus on Christ. Responding to any gospel's special focus promises to also nourish a distinct spirituality, one that will resonate with the spiritualities of saints and disciples both ancient and modern. Hardin finds in Matthew's gospel a spirituality based on Christ's transformative presence within us; in Mark is found the challenge of martyrdom; in Luke the call to embrace the poor; and in John disciples are called to contemplative virtues springing from grace and love. 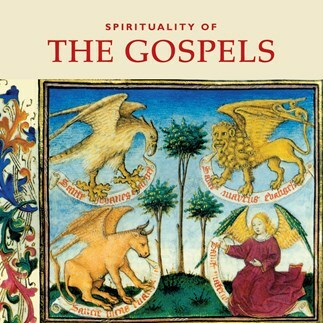 These lectures correspond to the seven sessions outlined in the Study Set for Spirituality of the Gospels.